A Year Through The Lens: Day 278 – Balancing act. Seventh sunrise in a row for this year. Who would have thought? But you can’t help but take advantage of every hour in this country. Mind you sitting around the pool with a local beer on afternoon break helps things along too. 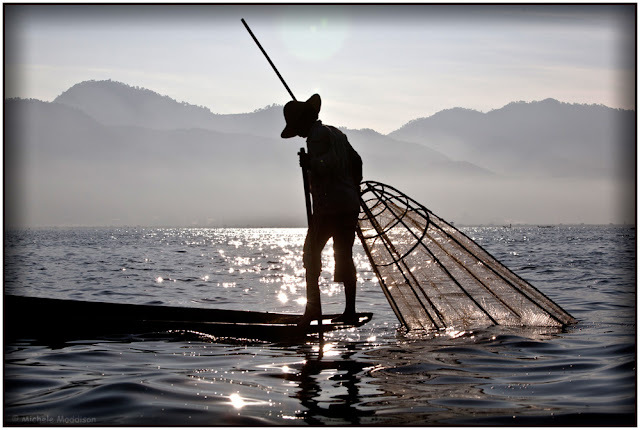 The fishermen of Inle Lake have remarkable core strength. They move the oar with their leg, balancing on the end of their tiny boat, whilst putting out their nets. It is mesmerising to watch their level of skills, and balance.